Whether you love or hate Obama Care (the Affordable Health Care Act) is going to be part of all our life’s for at least the foreseeable future. The act affects individuals, business, medical providers and much more. That why we at RMS Accounting are proud to announce the release of a simple guide designed to bring you up to speed on just how the implementation of the law will affect you. It affects every American. Now is the time to learn how it will affect you. Some of the provisions of the law are already in effect but the most dramatic effects begin January 1, 2014. 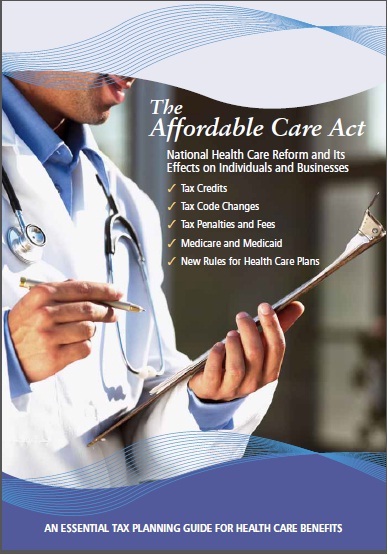 To receive this newly released guide to the Affordable Health Care Act simply email us at Info@RMSAccounting.com place ACA on the subject line of your email and include your name, address, city, state and zip code.